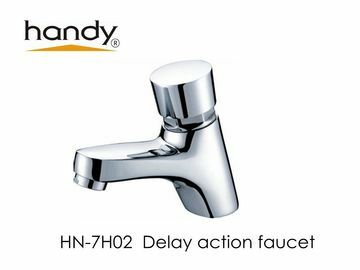 Brass delay action tap for public washroom. 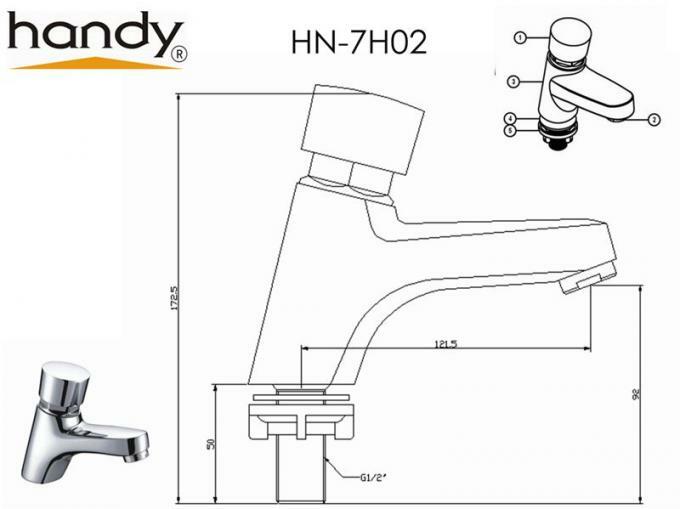 Install on ceramic basin or glass basin in one hole. Press open and self closing, with brass self-closing cartridge, self-closing time:3-5”. High purity brass main body.Bubbler in outlet makes the stream more smoothly.